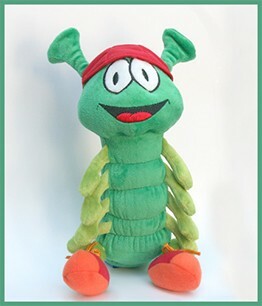 Cappy, is a soft, squeezable plush toy caterpillar. 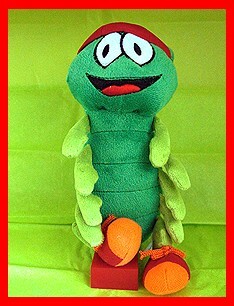 Cappy has a one piece body with eight arms/legs and two antennae. His body is 9 inches (23cm) high and 4 inches (10cm) wide. He is completely covered in two tone fabric which is velvety to touch and is appealing to hug. His facial features are big bright eyes and a wide smile that are engaging. There are no buttons or appliques on his face or body that can be bitten off during the teething process. 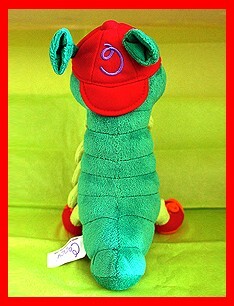 Cappy is 100% hypoallergenic and can be washed in the gentle cycle inside of a mesh zipper wash bag for safe keeping. 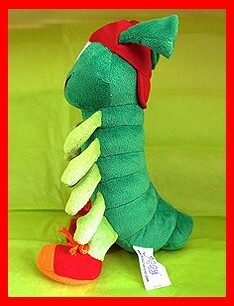 The stuffing is 100% new polyester fill. Cappy is not only endearing, but enduring and has the well made integrity to last a loving lifetime.